Not so fast. The reality is unfortunately far more complicated. Americans are locked into a dysfunctional relationship with plastic. Collectively, we generate approximately 33 million tons of plastic trash each year, but less than 10 percent of that actually gets recycled. 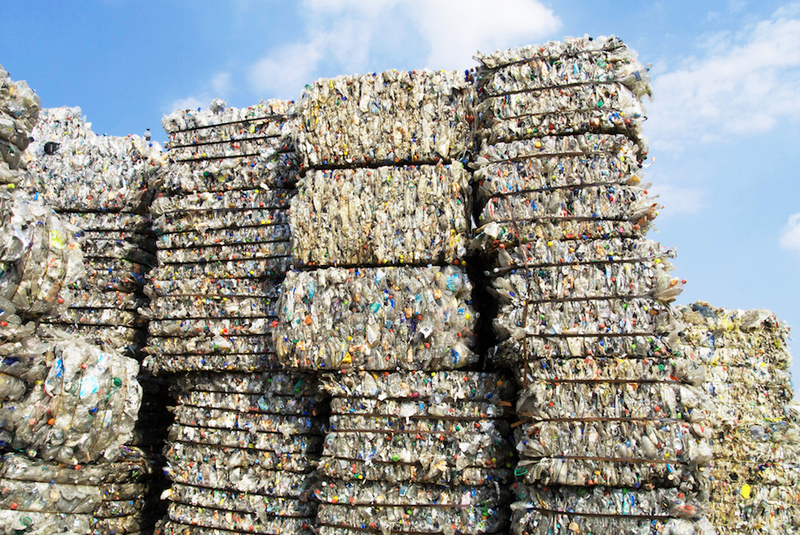 And even if you want to recycle the stuff, the multiple types – polyethylene, polypropylene, polystyrene, and so forth – lead to confusion about how and what plastics can successfully be accepted by most recycling programs. This is a common problem with food containers: Are those plastic clamshells that contain greens recyclable? What about that yogurt container? And that ketchup bottle – can the lid go in the blue bin, too? It’s confusing. Consuming less overall, choosing paper when given the option, and making recycling easier to understand may sound like simple solutions for the plastic problem, and that’s exactly the point. “We’re in a great position to make a change,” says Hedlund. “But we need everybody to start unifying around common-sense solutions.” Eventually, she explains, a critical mass of people changing their habits creates change. “My five-year goal is for people to say, ‘Remember when recycling was confusing? Remember when most manufacturers weren’t closing the loop? Remember when there was more plastic going into the oceans than there was going into remanufacturing? '” It’s a noble dream – and, with a collective effort, a possible reality. Make sure all items are rinsed and clean before going into the recycling bin. Absolutely no food, liquids, or other contamination allowed. Yes, that means that the bottom of your pizza box needs to go in the compost (or the trash). You can, however, tear-off any non-greasy parts for disposable in the recycling bin. Separate glass jars from their metal lids. Inquire about how to recycle the lids of plastic bottles. In bigger, mixed systems, it’s often preferred to keep them together, but many smaller programs only want the bottle, so the lid should go in the trash. Keep aluminum foil, plastic utensils, Styrofoam containers, plastic wrap, or plastic wrappers (including baggies and bags) OUT of the recycling bin. Those items need to go into the trash unless your recycling program specifically gives the green light. If you must collect your recycling in a plastic bag, use a clear or see-through blue bag. Compostable plastics are great but they don’t belong in a recycling bin (and not even in a home composting bin – only industrial or commercial composting options can take these items). Plastic clamshells salads come in? What about the semi-stiff bags that foods now come in–nuts, coconut, grains? They are healthful foods with no comment about the bags being recyclable. Any idea on Snapware brand Tupperware? I’ve got a lot of extra lids and don’t want to throw them out if I don’t have to.